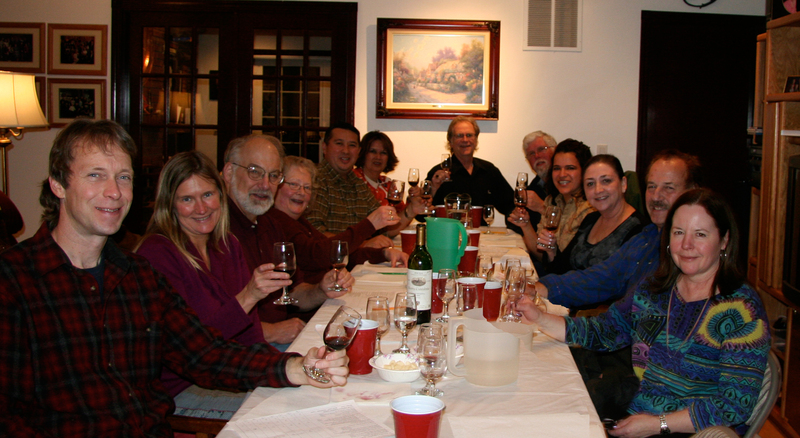 The November Taste to Learn was Saturday, November 20th, at Mary and Jerome’s. Rioja, in the north-central Spain, has historically been the country’s major red wine region. Three-quarters of Rioja wine is red, 15 percent rosata and 10 percent white. Rioja (ree-OH-hah): a jammy red wine with forest fruits and spice. The principle grape in Rioja is Tempranillo (tem prah NEE yoh), Spain’s greatest red variety. But, regulations permit another three varieties for reds – Garnacha ( Grenache), Graciano (Carignan), and Mazuelo. Red Rioja is typically a blend of two or more varieties. Regulations aside, some producers now also use Cabernet Sauvignon in their red Rioja. Joven: (literally “young” wines) typically made in stainless steel or other non-reactive vessels and released the year after the vintage date. They are fruity, lively, fresh drinks that sell for about $8. These terms appear on the labels – if not on the front label, then on the rear label which is the seal of authenticity for Rioja wines. Rioja has ripe, red cherry flavors but flavors vary depending on how it is made. The longer barrel aged Riojas have flavors produced by slow barrel oxidation which reflect nuts, dried fruit, spice, mushrooms which add to their complexity. Wines from all four categories were sampled and there were none that we did not like. Rioja was a new wine for all attendees and a choice that will definitely be on many of our shopping lists. 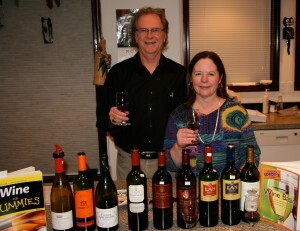 We found well balanced, aromatic and flavorful wines at very reasonable prices of $10 – $14. But, of course our favorite and highest point getter was a $30.99 bottle of Gran Reserva. Next two highest were both Reservas in the$14 – $19 range, followed by three Crianzas at $11 – $13. The last three scorers were Joven wines with very appreciated and respectful scores, prices ranging in $10 – $12. It seemed everyone was very pleased with their new find in Rioja wines, the famous red blends of Spain.